In this article, we’re looking into the best RV battery options. Lovers of recreational vehicles will know just how vital an RV battery is. These products allow you to use appliances and effectively run your whole vehicle while being ‘off grid’. 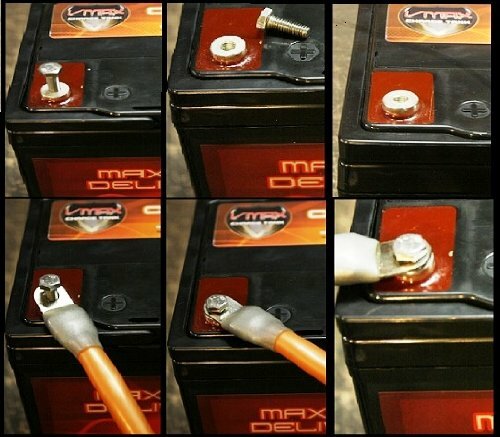 You need quality and reliability from your battery. If your battery system goes down or loses power for any reason then the problems can be serious. You may not be able to run your fridge, your water system or air conditioning, and it can ruin your trip. There are different types of batteries: ‘House’ batteries, as they are called in the RV community. 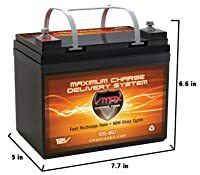 These are the types of batteries which run appliances and anything else electrical or requiring 110V connections in the vehicle. They are different from the batteries most cars have which start the engine, though RVs have these too. So, what’s the best deep cycle RV battery? 4.1 What Are Cranking Amps? 4.2 Can I Install RV Batteries Myself? 4.3 What is a Deep Cycle Battery? Some top models are explored below. 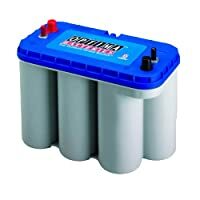 This Optima Batteries 8016-103 D34M is perfect for starting and deep cycling of RVs and boats. The backup system ensures you’re never out of power completely which can be awful for fridges or other vital electronics. The Optima 8016-103 has many great features. It’s intelligent spiralcell technology increases durability and performance. Install the battery on your RV in a variety of different positions and it will not leak, it is designed to fit in whatever space you need it. It provides plenty of power even for quite large systems, and can handle multiple electronic devices with ease. This has been designed to be very durable. The casing is strong, the chance of leaking is virtually zero, and it has been made resistant to vibrations which can sometimes cause issues and breakages. The recharge time is good, as is the capacity of the battery itself, so you don’t have to worry about it constantly dropping out when you’re using it. 10 x 6 ⅞ x 7 13/16 inches dimensions. 15 times as vibration resistant as competing models. Reserve of 120 mins of power so you can constantly stay running. Easy to mount in any position without fear of leaking. Run multiple electric items at once. Some users have had issues with the warranty. The battery capacity can lower after years of use. This battery is great for those who don’t mind paying for reliability and quality. The backup system ensures you’re never out of power completely which can be awful for fridges or other vital electronics. The Odyssey PC680 is a battery which is good for those who don’t use huge amounts of power and are looking for something more compact and lightweight. 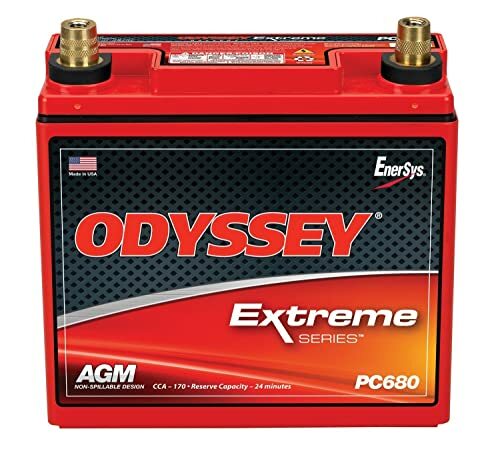 The Odyssey PC680 is a good quality battery that can be used for lots of different vehicles and uses such as snowmobiles, boating and of course RVs. As it is designed for use in extreme conditions it is very rugged and can hold up to all sorts of temperatures. 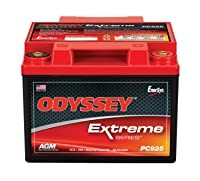 Odyssey PC680 Battery has lead plates which provide a higher power overall and also a longer lifespan. They claim 15% higher battery efficiency than the spiral wound design that many RV batteries use. This is also designed not to spill any acid, and has terminals which are designed to resist corrosion. This is not a huge battery and while it is great in terms of portability, this can mean slightly less in terms of the overall battery capacity. If you are running a lot of different appliances, the PC680 might start to struggle. Easy to install in a variety of vehicles. Has some level of vibration resistance. Quick to charge in four to six hours. Two year warranty with guaranteed replacement. Not as powerful as a full sized battery. Doesn’t always last as long as the 3-10 years advertised. Some users have reported issues with warranties. This is a battery which is good for those who don’t use huge amounts of power and are looking for something more compact and lightweight. It is also relatively affordable compared to many other batteries. This is another Optima battery and as such uses their ‘Spiralcell’ system which can lead to a fast recharge time and more efficiency and runtime. Optima’s latest 12 volt deep cycle rv battery range also have 15 times the vibration resistance offered by competing models. 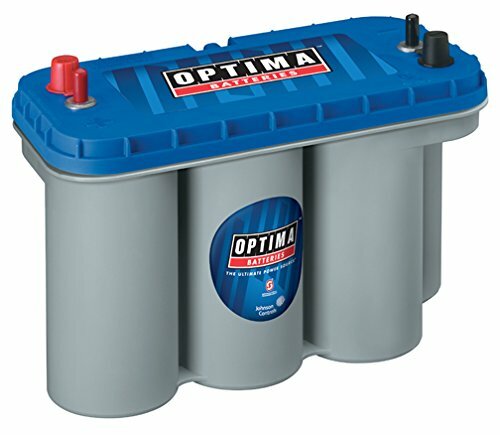 With this Optima Batteries 8006-006-FFP 34M, there is no need to perform any sort of maintenance or add any fluids to the battery. It can be mounted in a lot of different positions and has a sealed case to avoid any sort of acid leaking. This also helps with their environmental impact. 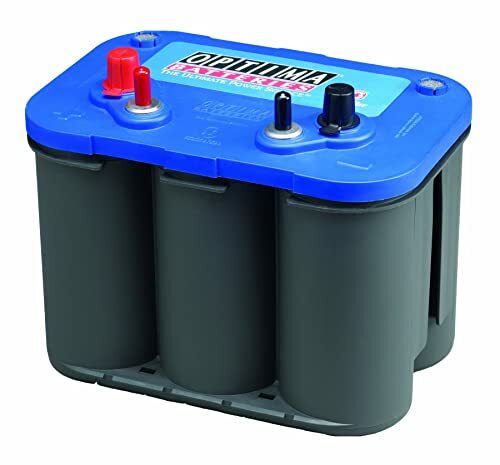 Optima batteries such as this one also don’t lose their charge quickly so even if it is unused for a long period of time it can keep its charge. It also has backup power so if it needs recharging your devices won’t all instantly go off or not be able to start. 10″ x 6 7/8″ x 7 13/16 size. Works exceptionally well in cold conditions with 800 cranking amps. Vibration resistance to avoid damage. Reserve of up to 100 minutes so it doesn’t stop working when it needs charging. Smaller than newer Optima models. Comes in frustration free packaging. Weighs less than the 8016-103 D34M. Other Optima models have higher reserve capacity. Some defective models have been reported. This is a great option for people who need a quality battery which can work even in low temperatures and extreme weather. It is very similar to the 8016-103 D34M which is effectively an upgraded version of this battery. 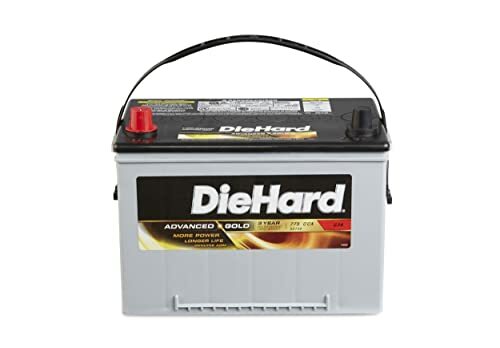 If you’re going to have a name like DieHard for your batteries, they better be good quality. This is certainly the case with the 1B077741997 which is good for trucks, RVs, and any maine and off-road needs too. The AGM technology the brand use in their plating means a good amount of power and lifespan. Just like many of the other products on our list it offers a spill proof design, can be mounted in loads of different positions and you don’t have to perform any sort of maintenance. Just install this and you’re ready to go! The brand boasts two times the battery power of previous models due to its size and technology. While we’re not sure about it being double, this model of DieHard battery certainly has a lot of power. 20 x protection from vibrations of earlier DieHard batteries. Double the cycle life of conventional acid batteries. 120 minutes reserve power system. Internal components very well protected and sealed to avoid leaking. You need to ensure you get the correct size. Not as long lasting as some other batteries on the market. This is a good option if you know which size you are looking for. The brand offers different sizing groups, so ensure you check which is suitable for your RV before buying. The Optima Batteries 8052-161 D31M has higher cranking amps and starts in cold weather, but isn’t a huge improvement on the other Optima RV batteries. Optima is a brand which has really dominated our list of top batteries. 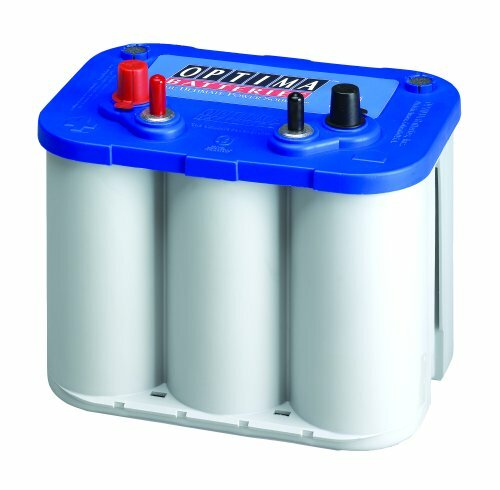 The Optima Batteries 8052-161 D31M makes our list due to the fact that it has a lot of power and a high rating of cranking amps. This means it can be used even in extreme weather. The high capacity means it can run your RV along with the inside appliances fo a long period of time. This battery is like the others in the Optima range in that it holds charge well. Even if left for a long period of time it won’t discharge. It is fair to say that this is one of the more expensive batteries to make our list. It is also quite bulky and heavy so if you are trying to fit something into a small area it might be tough. 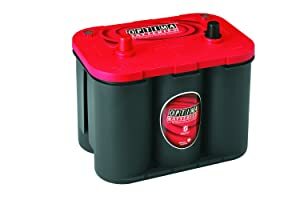 If you are on a low budget then you might not find this the best rv deep cycle battery for you. Has 155 minutes of backup power stored within. Reliably starts vehicles and works well in cold weather. Vibration resistant for peak performance. Uses Optima’s SpiralCell Technology for improved battery life. Some defective units have been reported. Not a huge upgrade on some of the other optima batteries. The optima range is very good, it is easy to see why we’ve included a lot of their batteries on the list. It has higher cranking amps and starts in cold weather, but isn’t a huge improvement on the other Optima RV batteries. This VMAX V35-857 is a great option if you’re on a budget and don’t need a huge period of time running. If you have a lot running in your RV and need a lot of power then it might not quite have the capacity you need. This is a great quality and very affordable battery. It is safe to say this is one of the cheapest deep cycle batteries which still offers the user a lot. The highest quality manufacturing is used to make this product better than the lead acid batteries. The VMAX manufacturers have worked hard to make sure it is maintenance-free as well as resistant to both corrosion and leakages which can be dangerous. Designed for a long life cycle. 4-9 hours of run time as a trolling motor. Not as long lasting as some competitors. Doesn’t have the capacity to run a lot of appliances at once. Not as vibration resistant as some of the other models on the list. The VMAX is a great option if you’re on a budget and don’t need a huge period of time running. If you have a lot running in your RV and need a lot of power then it might not quite have the capacity you need. 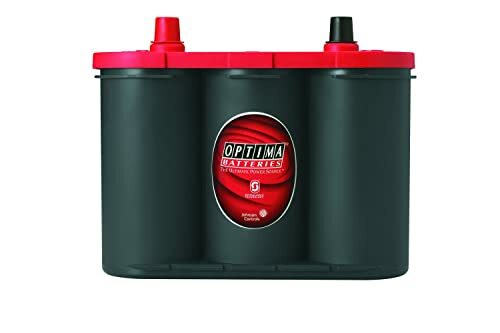 The most interesting feature of Optima Batteries 8002-002 34 RedTop is its ability to withstand heavy use. This battery is good for those who don’t mind paying a little extra for the ability to use it in cold weather. Yet another great product from Optima. This is a high quality battery, however it should be said that this is a starting battery so will not run all of the appliances within your RV. Instead it will just be for getting the RV going! The cranking amps of 800 means that you can use this to get the engine going even on a cold day. It has a high capacity and will even charge very quickly. On top of these other wonderful features, the 8002-002 is vibration resistant so it doesn’t get easily damaged. Durability is one of the best things about the Optima range and this battery is no different. Reserve battery capacity of 100 mins. Starts even large RVs in challenging weather. Requires no maintenance at all. Easy to install in your RV. Only works to start your vehicle. Expensive for just a starting battery. Can struggle to hold charge after over a year of use. 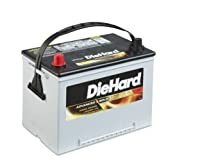 This is a suitable battery for those who are looking for an option purely to start their vehicle. On top of this, it is good for those who don’t mind paying a little extra for the ability to use it in cold weather. 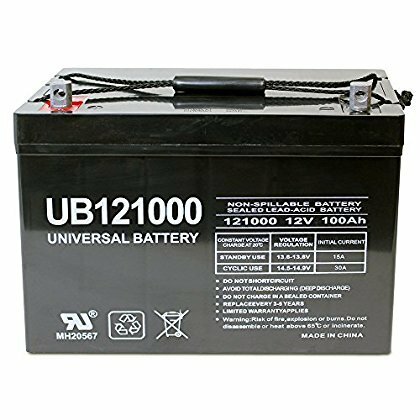 This Universal UB121000-45978 is ideal for powerful trolling motors, occasional or seasonal use. In addition, the durability and reliability of this product make it possibly the best rv battery for dry camping. 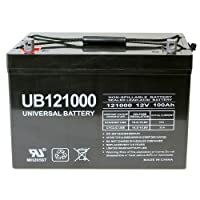 The Universal UB121000-45978 stakes a claim for being the best AGM RV battery. This can be used to power a variety of electronics and as such is a popular choice in RVs and boats. Though this is a very hefty and heavyweight battery it has plenty to offer and justify this cost. The Universal battery has a shock mounted design too so it will not easily become damaged even in rough terrain. It is so well made that it has a one year warranty offered by the manufacturer. 12.17” x 6.61” x 9.16”. Great battery life which can power appliances and electronics with ease. Designed to be shock proof and vibration proof. Spill proof battery so no leakages. Reliable even for long periods of time off grid. Can be tricky to install due to size and weight. May not hold a high charge as long as some competitors. 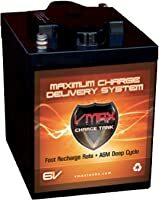 Generally, the durability and reliability of this product make it possibly the best rv battery for dry camping. It is heavy, but this is the price you pay for this kind of capacity and reliability. 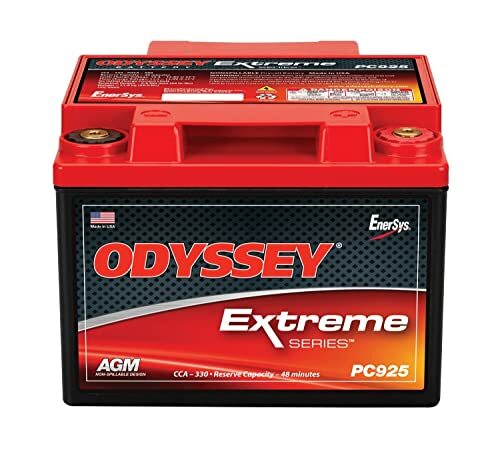 The Odyssey PC925 is one of the more affordable range of Odyssey battery products. Offering a huge amount of power considering its relatively medium size. This has a huge amount of plates within which can provide loads of power. The lead plates and AGM design means that there is a very high level of conductivity. The product can be used for starting and powering a huge amount of devices. It has been used on performance cars, for boating and for RVs of course. Odyssey PC925 also has a lot of safety features. It is corrosion-resistant, has a high quality seal to avoid leakage and is even flame retardant. The Odyssey is said to have twice the power of the spiral-wound products which are more or less the equivalent dimensions. Quickly recharges fully in 4-6 hours. Flexible and easy to mount. Lots of great safety features including anti spill. Cold cranking amps of 330 means it isn’t amazing in cold weather. Positive and negative are inverted compared to old models. This model is great for those who want to focus on safety and ensue a long lasting battery which is low risk. 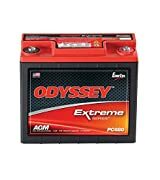 There aren’t a great deal of 6 volt rv batteries but this model is a good option in this category. It has a huge capacity and lots of impressive features. 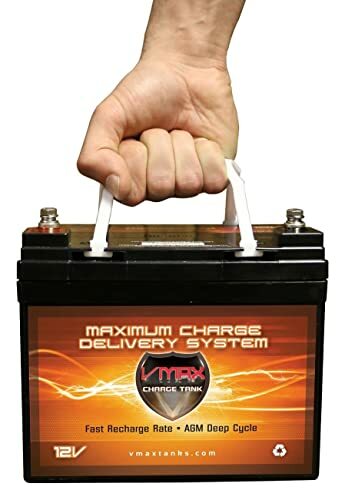 The VMAXTANKS 6V battery is easy to hook up to solar, so if you are thinking of installing solar panels to recharge your battery this could be a good choice. This is a deep cycle battery, which means that it is designed to last a long time and not need recharging too often. On top of this, it is offered with a long lifespan of 8-10 years. Offers electrolyte suspension which avoids contamination. Designed to last with a durable body and components. Works well in low temperatures. Good for hooking up to solar panels. Not compatible with all RVs. If you are specifically in the market for a 6V RV battery then this could be the one for you. It is also popular among those who wish to farm power from solar panels for their RV. 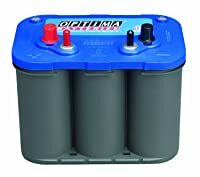 AGM batteries are a popular form of RV battery, they are designed not to leak and to be maintenance free. AGM stands for absorbed glass matte. There are also wet cell batteries which are more old fashioned. They tend to be cheaper but also require a little more maintenance and topping up. They are harder to make leak proof. One of the most important things to consider when you are looking for a battery for your RV is the lifespan. Many of these products will last for over five or six years if treated right. Looking at consumer reviews and reviews such as the ones above will tell you how durable a battery is. The more amps and power which are available, the better. Depending on your needs, you may not require a huge amount on high power. Using in an RV usually means that you need to power a lot of electrical items. This is a term used to describe the power capacity of RV batteries a lot. It is effectively the rating given for their ability to start at low temperatures. If you live somewhere you need to start your RV in the cold, the higher CCA the better. Can I Install RV Batteries Myself? Yes, as long as you have some level of proficiency with vehicles then this shouldn’t be too difficult. There are some useful YouTube videos describing the process. These are batteries which operate at 50-75% of their capacity and run for long periods of time, great for running appliances. These are very popular among RV users. Finding the best rv deep cycle battery can mean you don’t have to worry about power cutting out. When looking for the best RV battery, you should be looking for a good amount of power and reliability. This is usually something which is attainable, and even though many of us are restrained by budget, there are options on this list to suit everyone’s bank balance. While some of us don’t have huge RVs, most of us require as much power as we can get to start up and also to charge devices, run fridges and keep us cooking. It shouldn’t be underestimated just how important an RV battery is. It can keep your vehicle running and even allow you to go ‘off-grid’ and dry camping. Choosing the best is essential for enjoying your travels properly.